Looking for a special holiday gift and a way to share practical values? This week’s five AHAs are from the AHAbook™ Hermione Granger’s Unofficial Life Lessons and Words of Wisdom. Please share this URL “aha.pub/HermioneSays” in your social media status update to let your friends know about it. 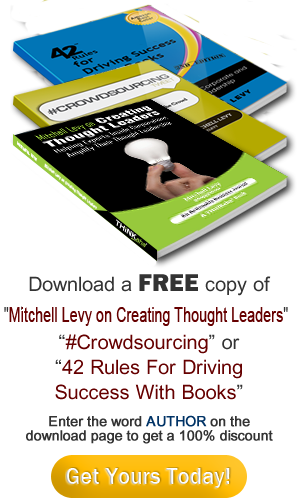 The Kindle version of this amazing book can be downloaded for FREE today, October 23rd (Tue) until October 27th (Sat). Don’t miss the opportunity to pick up this great content, give it a quick read and decide whether the paperback or hardcover version is that perfect holiday gift: https://amzn.to/2CVsFCu. If you could ask Hermione Granger, one of the main protagonists of the famous Harry Potter series, a question or seek her advice, what would you ask? We thought about that and created this unofficial book with what we perceive as her thoughts on very important topics in life, such as education, family, friends, dreams, and believing in oneself. Hermione is, without a doubt, the brightest witch of her age, which is why she is looked up to by so many people. In this AHAbook, she shares with us tips and tricks to studying and how one can greatly increase their efficiency in education. As a Gryffindor, Hermione talks about bravery and courage and teaches us why we are bigger than our fears and greater than any obstacle. She speaks about the beauty of friendship and the value of family. 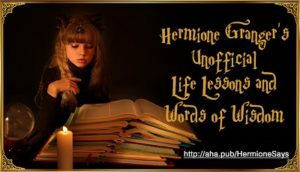 Hermione Granger’s Unofficial Life Lessons and Words of Wisdom is an inspiring book that tells us about how one’s journey through life can possibly go and how to best handle things that come our way. She definitely believes that dreams can come true if you just believe in yourself. To see and learn how to automatically share AHAmessages from this book, you may check out this video: https://youtu.be/JYDK7aZoAqI. To know how to automatically share via AHAblaster, please watch https://youtu.be/-VZ1sxjBlak.